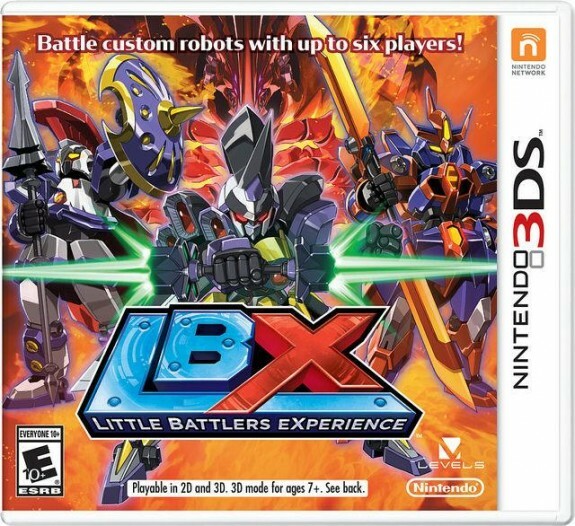 Featured Review ~ Nintendo's Little Battlers Experience! Home » Featured Review ~ Nintendo’s Little Battlers Experience! Featured Review ~ Nintendo’s Little Battlers Experience! Each Little Battlers Experience(LBX) has 5 parts that can be interchanged. It can be equipped with 2 different weapons, and each element is able to be swapped out to allow kids to fine tune their robots for battle. This part of the game is very strategic because kids need to finely balance the weight of their robot in order to increase its performance and speed. Nintendo has really built some pretty incredible customization features into this game. In fact there are more than 4,000 parts to create a one-of-a-kind LBX. The more you win, the more you can upgrade your robot. Outside of the battle ring, kids can do quests that allows them to earn more money and rare parts. This game has been a big hit for us. My boys like that they can create their own robots and battle against each other in 20 different arenas with unique environmental characteristics. In local wireless multiplayer play, up to six players can battle using a variety of different rules.